The prize pack is being provided directly by the brand. As always opinions are honest and my own. Happy Happy Birthday to me, to me. June is my favorite month for many reason and now I’m adding a new one. Not only do I get to celebrate the last year of my thirties this month but I also get to celebrate four decades of the mini figure from LEGO. 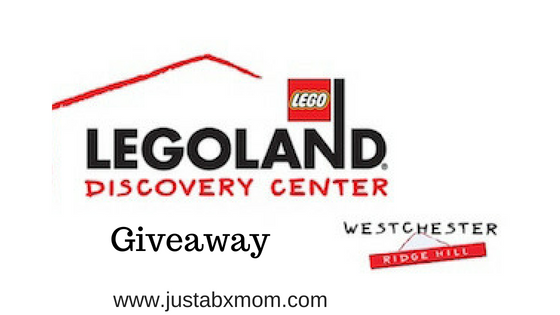 Yup, and how better to celebrate then with a trip to the LEGOLand Discovery Center Westchester? Here’s a look at what’s going on there this month at the LEGOLand Discovery Center in Westchester. Keep reading for your chance to win admission for a family of four. The attraction has been transformed into party central for the occasion and filled to the brim with all things Minifigures – even the 17 brand-new exclusive LEGO® Party Series Minifigures are making an appearance. Partygoers can enjoy birthday-themed builds in the Model Builder academy, Minifigure trading with Series 18 Minifigures, and a Minifigure scavenger hunt in MINILAND. Each weekend features a new costumed character meet and greet. Character visits include Lloyd, the Green Ninja of Energy (June 9 & 10); Wyldstyle from The LEGO Movie (June 16 & 17); and Kai, the Red Ninja of Fire (June 23 & 24). Guests can also strike a pose with Minifigure photo stations located throughout the venue. Annual Pass members are invited to “Breakfast with Bertie” on Sundays from 10:00 – 11:00am. Celebrate with the LEGO Police Officer (June 10), Kai (June 17), or Wyldstyle (June 24) and receive a Minifigure 40th Anniversary party hat. Oh, and big news Yonkers Police Officers. To celebrate the LEGO police officer mini figure turning 40 you and you immediate family will be free all month long. Just bring your valid Yonkers Police Department ID and pick up your walkup tickets. And we can’t forget dads! Dad you will be treated to free admission with purchase of a child’s ticket Father’s Day Weekend. The Dads Go Free offer may be redeemed online using promo code 181009 and is valid for one free one-day adult ticket with the purchase of a full-price one-day child ticket to be used on June 16 or 17. The offer is also valid on walk-up tickets with the coupon (either printed or displayed on smart phone). I have never been there. I am thinking it would be worth the trip to take little girl! If you’re in the NY area it’s a fun time for little ones. If not it makes more sense to go to the LEGOland park in Florida. Can you believe we’ve never been there! Been to LEGOland in Cali though and the kids totally loved that.